Ghosting is one of the most cruel and painful things someone can do in a relationship. No one wants to be left in the dark and wondering why their other half has stopped contacting them and cut off communication in the relationship. It can be heart breaking and confusing to have someone you love suddenly stop texting or calling and acting as if you don't exist anymore. 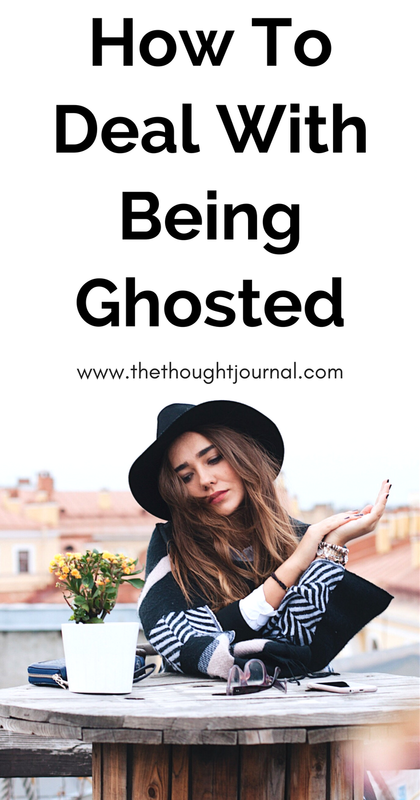 Ghosting is one of the worst ways to end a relationship and no one deserves to be treated like that. Due to millennial culture, many people find it acceptable to end relationships by texting, over social media or purely by disappearing and stopping all contact with the person i.e. ghosting. If you've been ghosted in a relationship, you'll understand how hard it is to come to terms with the fact that someone who means a lot to you doesn't want anything to do with you anymore, but you must remember that it is not your fault and by ghosting you, their actions have shown what type of person they really are. Ghosting can happen with friends, someone you're dating or someone you're in a long term relationship with. Ghosting is a very cowardly way to break up with someone and it shouldn't be tolerated. Breaking up with someone is a very difficult thing to do and should always be done face to face when possible. Ghosting can cause emotional hurt and damage and it's not fair on you to have someone end a relationship suddenly just like that. You can feel very unimportant and frustrated when a boyfriend or girlfriend has ghosted you, especially when you'd developed feelings for them. You can feel like you've been pushed to the outside and disrespected by that person seeing as they don't have the decency to talk to you directly and tell you how they're feeling. It's very rude for someone to suddenly stop returning your calls or texting you and it's very hard to understand why anyone would act like that towards someone they cared for. It hurts to realise you've lost someone with no explanation and that you could really mean that little to them. It's normal to feel sad and upset about your partner stopping contacting you, and here are five things to do if you've been ghosted in your relationship by your boyfriend or girlfriend. The worst thing you can do is wait around to hear from them, which will lead to you overthinking, being paranoid, getting upset and being sad that they're not contacting you. 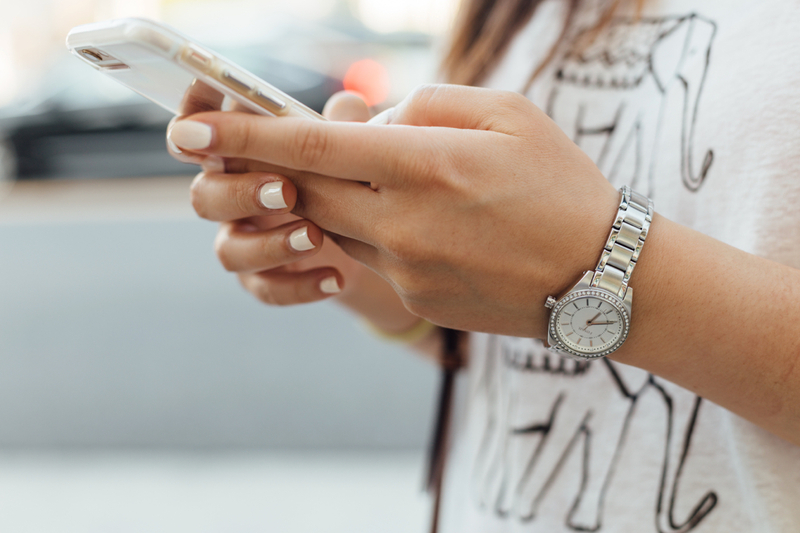 It can be very hard to come to terms with, but you have to accept that they probably won't be in contact with you again and as horrible as it is, it's better to not wait around, wondering if they're ever going to call or text because you'll end up going out of your mind with worry, stress and anxiety. The best way to deal with it is to not expect them to call at all and start the process of moving on from the relationship. You deserve an explanation as to why they've behaved like this and cut all contact. It's a horrible way to be treated and it can be extremely hard to understand why someone would shut you out of their life all of a sudden, especially if you were together for a long time and were very close with each other. You can call them or send them a text, asking them to explain why they've done what they've done and give you the explanation you deserve. If they have any decency and respect for you, they'll meet you face to face to discuss things like a mature adult. It can be so tempting to constantly look at their social media to see what they're doing instead of being with you. You'll only torture yourself and make yourself upset and stressed by looking at their Facebook, Instagram, or Snapchat to try and keep up with their life. If they have no interest in your life, you shouldn't try to stay connected with theirs. If they're still ignoring your messages and you've given up completely on them, it may be best to delete them off social media so you don't have to be reminded of them all the time. Forgetting about them and erasing any memories of them can be the easiest way to start healing from the hurt caused and move on from the break up. Leaving things open and without any explanation as to why they've left you and stopped all communication can be very hard to move on from. Try to get some type of closure so you can start rebuilding your life without that person. This can be very hard to do when you can't understand why they've cut you out in the first place, but try and ask them to speak with you face to face to let them know how much they've hurt you and have them explain why they've ghosted you and stopped contacting you. Understanding why they've done this and getting closure is the best way to move on from this painful situation. The best way to recover from the hurt of being ghosted is to leave the relationship in the past and move on without that person in your life. Stop thinking about why they're not contacting you, stop waiting around to hear from them and start living your life with people who make you happy and deserve your time. Leave them in the past and try to distract yourself from thinking about them because if they treated you with the disrespect of ghosting you, they don't deserve a minute of your time. Give yourself time to cry and be upset about it, but pick yourself up and realise that it could of been much worse if they stopped talking to you after you'd developed stronger feelings. Whatever you do, don't give the person a second chance, because they'll end up doing the same thing again down the line. Really great tips, I think not keeping up with their social media is one of the best things. No one needs to be reminded of that!